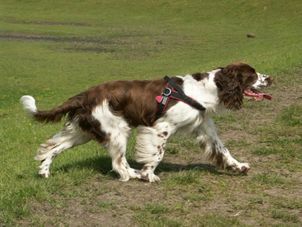 So named because its job was to spring at birds forcing them into flight, the English Springer Spaniel is both functional and pleasing to the eye. The dog has a compact build, medium in height and obviously athletic. 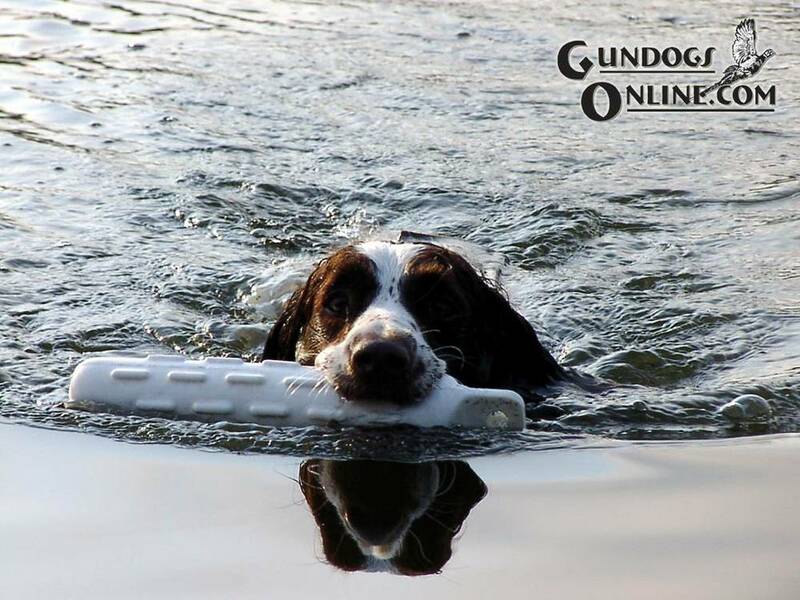 When shown these dogs are required to be in excellent shape reflecting their original purpose as a gun dog. The head is strong and refined with a rounded skull that has a slight groove between the eyes. The upper lips hang slightly just covering the line of the lower jaw, giving it the soft mouth required to retrieve birds without causing damage to the bodies. Oval eyes should be moderate in size, and their shade can vary according to the color of the coat. 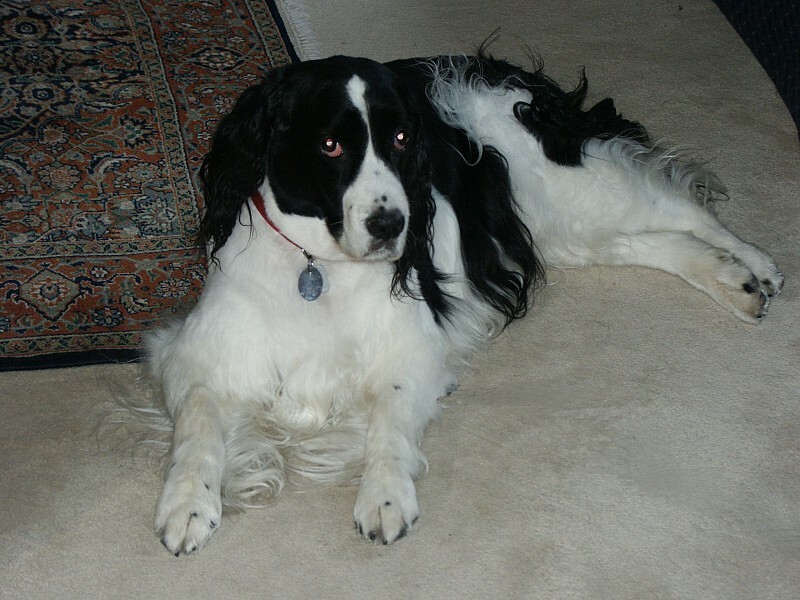 The dogs trusting, friendly expression and long hanging ears clearly mark the English Springer as one of the spaniel family. Well developed hindquarters and thigh muscles give both power and speed. The tail is carried at a slightly elevated position and is almost always docked. Coat color may be blue, black or liver (brown) with white markings or white with black or liver markings tan markings are also sometimes seen. The coat should be moderate in length with a glossy sheen. 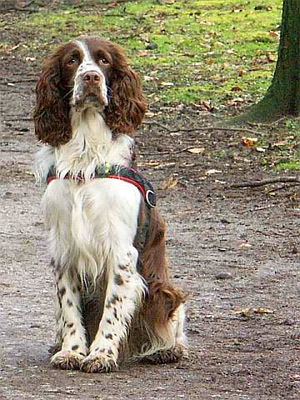 Height (Male) 19 - 21"
Common Misspellings English Springer Spanial, Englesh Springer Spaniel, English Spreenger Spaniel, or English Sprenger Spaniel. 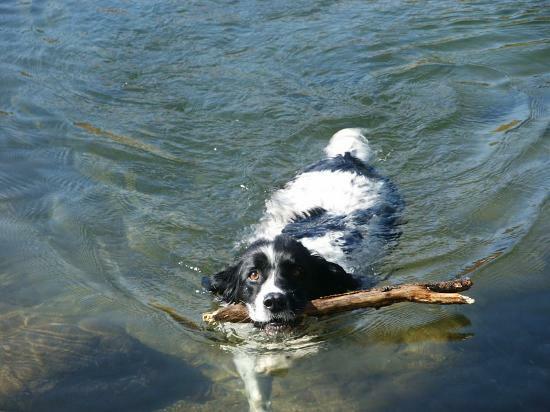 The English Springer Spaniel's willingness to please its owner along with its intelligence makes this a biddable breed that can be trained easily. 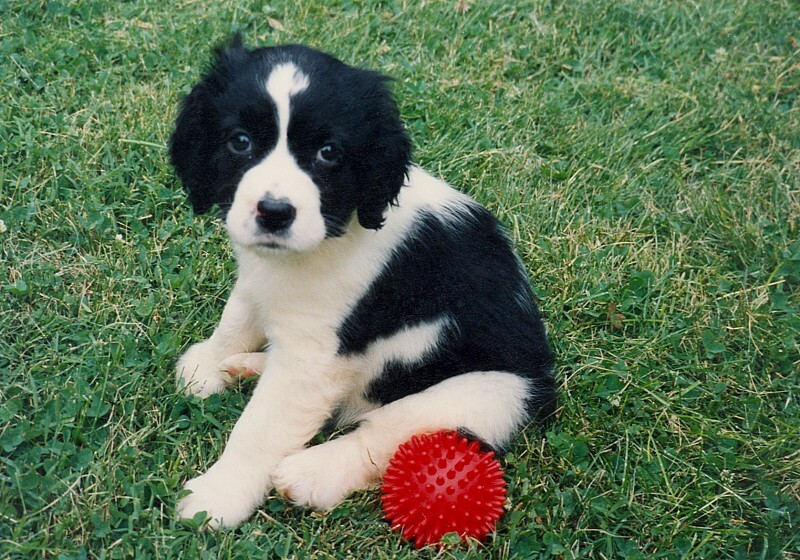 English Springer Spaniels are loyal to their families but also adore meeting new people, making them an excellent candidate for therapy work. For these same reasons, however, those seeking a guard dog should look elsewhere. 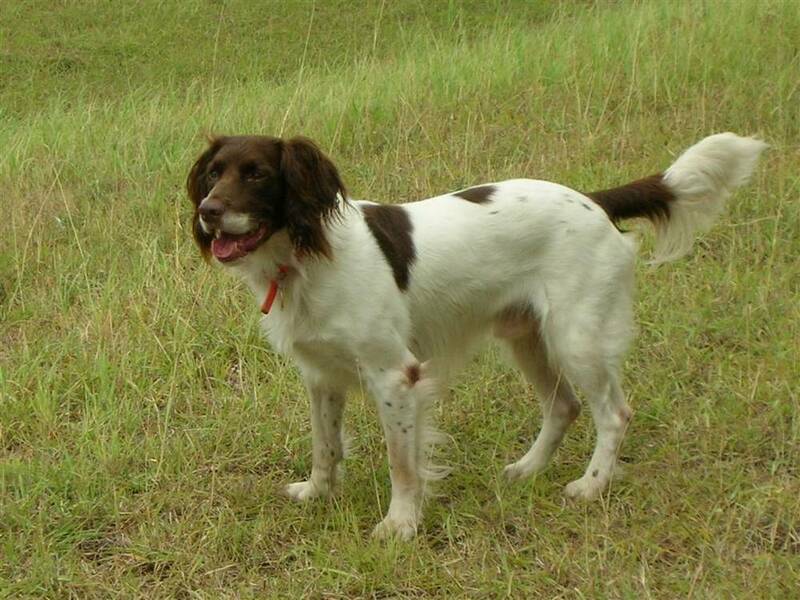 Springer Spaniels are exceptionally kind toward other pets, and make friends with the family cat rather easily. 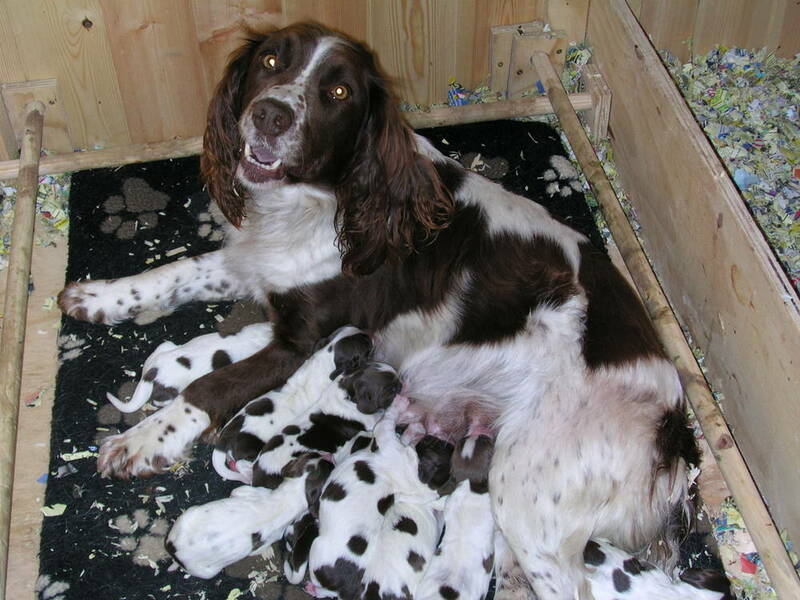 One consideration for those looking for a breeder is that the Springer Spaniel is split into show and field lines. 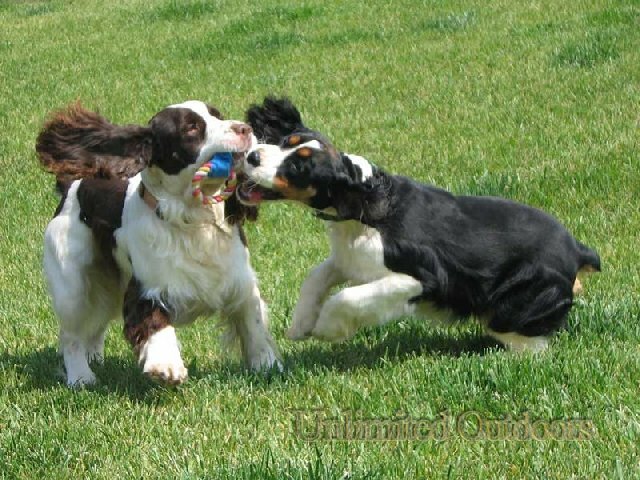 Both lines have a happy, playful temperament, but dogs from the field line have a bit more energy. The dog enjoys long walks, games of fetch, and jogging alongside its master. 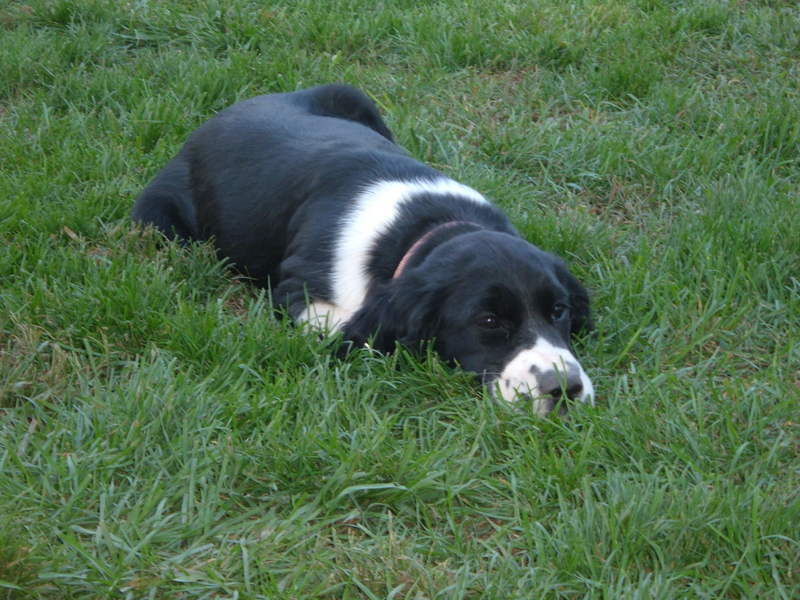 Exercise requirements are higher for young dogs and those from field lines. 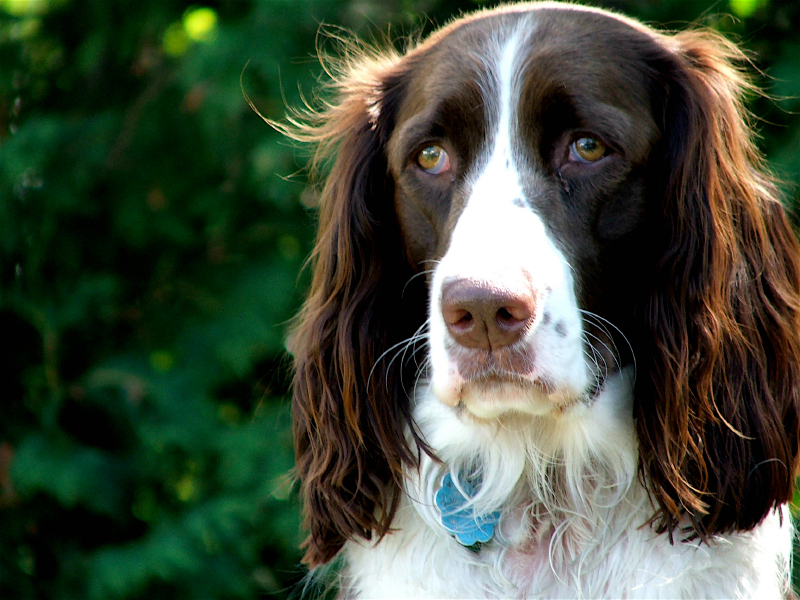 The English Springer Spaniel is a moderate shedder whose fur should be groomed twice a week. Those from show lines will have a longer, thicker coat than their field line counterparts. The drooping ears should also be kept clean and the nails kept cut short. The foremost health concerns for the breed include otitis externa, canine hip and elbow dysplasia, progressive retinal atrophy, phosphofructokinase deficiency and retinal dysplasia. These dogs were said to spring at their prey, flushing it out into the open so men with guns could take their shot. 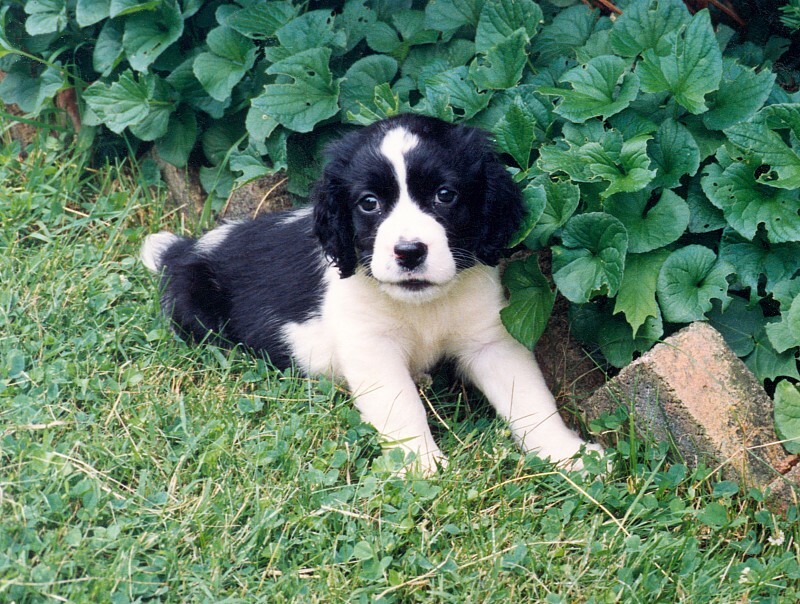 Until the 19th century, the English Springer and Cocker Spaniel were used in this capacity and were by all accounts the same breed, the only difference between the two being that the Cocker Spaniel was slightly smaller. The Duke of Norfolk is credited with developing the Springer as a separate breed during the early 1800s, and his passion for the breed led the dog to be temporarily known as the Norfolk Spaniel. 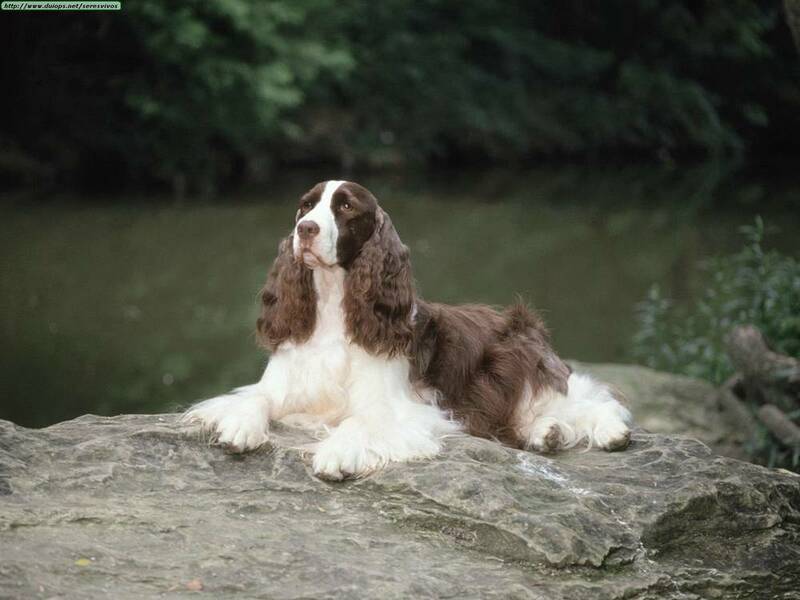 The effort to separate the Springer and Cocker Spaniel continued into the 19th century, and in 1880 the American Spaniel Club was founded to further this work. 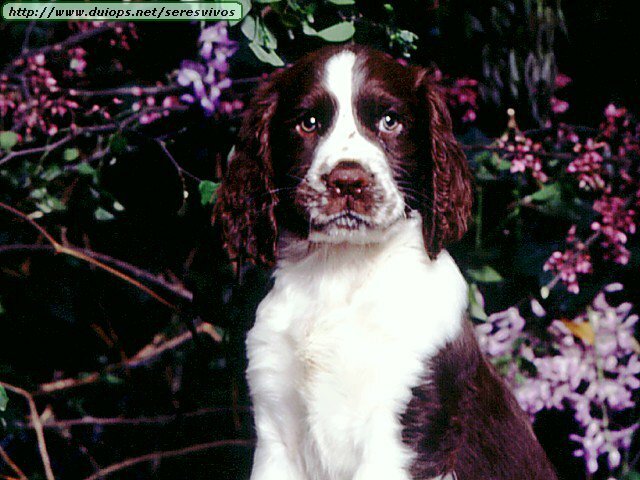 In 1902, The English Kennel Club recognized the English Springer Spaniel as being a separate breed from the Cocker Spaniel, and in 1910 the American Kennel Club followed suit. To this day, the dogs sweet nature and eagerness to please continue to make it a popular choice as a family pet, hunting dog and competitive obedience trial participant.